BSN, Goshen College, Goshen, Ind. MS(N), Northern Illinois University, DeKalb, Ill.
Jane Armer is a professor at the MU Sinclair School of Nursing and Director of Nursing Research at Ellis Fischel Cancer Center. In 2000 she was appointed to the Medical Advisory Committee of the National Lymphedema Network (NLN). She serves on the Board of Directors of the Lymphedema Association of North America (LANA). She is a nurse scientist member of the Alliance, the national medical oncology clinical trials research group, where she is a member of the oncology nursing group and the symptom intervention subcommittee. Dr. Armer is well known for her extensive research on physiological measurement of limb volume in post-breast cancer lymphedema; signs, symptoms and self-management of lymphedema among women treated for breast cancer and the psychological impact of lymphedema. Armer’s program of research focuses on the more-than-two million women who are living with breast cancer in this country today who are at a lifetime risk for lymphedema development. 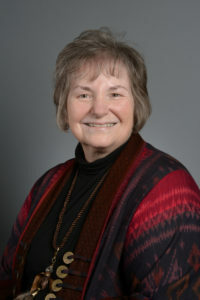 Her earlier work focused on health beliefs and practices of community-dwelling diverse elders and adults, self-management of chronic illness, and relocation adjustment of rural elders. Breast Cancer Lymphedema: Studying Feasibility of a Preventive Intervention — MU PRIME, $52,672, 2006-2008. Ostby, P.L., Armer, J.M., Dale, P.S., Van Loo, M.J., Wilbanks, C.L., & Stewart, B.R. (2014). Surveillance Recommedations in Reducing Risk of and Optimally Managing Breast Cancer-Related Lymphedema. Journal of Personalized Medicine, 4(3):424-447. Lu, G., Han, K., DeSouza, G., Armer, J., Shyu, CR> (2013). Comparing Limb-Volume Measurement Techniques: 3D Models from an Infrared Depth Sensor versus Water Displacement. Innovation and Research in Biomedical Engineering. Proceedings of the 2013 International Conference on e-Health Networking, Applications and Services. Stout, N., Weiss, R., Feldman, J., Stewart, B., Armer, J., Cormier, J. & Shih, Y. (2013). A Systematic Review of Care Delivery Models and Economic Analyses in Lymphedema: Health Policy Impact (2004-2011). Lymphology, 46(1), 27-41. Armer, J. M., Hulett, J. M., Bernas, M., Ostby, P., Stewart, B. R., & Cormier, J. N. (2013). Best-Practice Guidelines in Assessment, Risk Reduction, Management, and Surveillance for Post-Breast Cancer Lymphedema. Current Breast Cancer Reports, 5(2), 134-144. Shigaki, C., Madsen, R., Wanchai, A., Stewart, B., & Armer, J. (2013). Upper extremity lymphedema: Presence and effect on functioning five years after breast cancer treatment. Rehabilitation Psychology, 58(4), 342-349. Wanchai, A., Armer, J.M. & Stewart, B.R. (2013). Complementary and alternative medicine and lymphedema. Seminars in Oncology Nursing, 29(1):41-9. doi: 10.1016/j.soncn.2012.11.006. Wanchai, A., Beck, M., Armer, J.M. & Stewart, B.R. (2013). Management of lymphedema for cancer patients with complex needs. Seminars in Oncology Nursing, 29(1), 61-5. Green, J., Paladugu, S., Armer, J., Stewart B. & Shyu, C.-R. (2012). Using temporal mining to examine the development of lymphedema in breast cancer survivors. Nursing Research, 62(2):122-129. Armer, J.M., Stewart, B.R., Wanchai, A., Lasinski, B.B., Smith, K., & Cormier, J.N. (2012, invited). Rehabilitation concepts among aging survivors living with and at risk for lymphedema: A framework for assessment, enhancing strengths, and minimizing vulnerability. Topics in Geriatric Rehabilitation, 28(4), 1-9. Feldman, J.L., Stout, N.L., Wanchai, A., Stewart, B.R., Cormier, J.N., & Armer, J.M. (2012). Intermittent Pneumatic Compression Therapy: A Systematic Review. Lymphology, 45, 13-25. Lasinski, B.B., Thrift, K.M., Squire, D., Austin, M. K., Smith, K.M., Wanchai, A., Green, J.M., Stewart, J.M., Cormier, J.N., & Armer, J.M. (2012). A systematic review of the evidence for Complete Decongestive Therapy (CDT) from 2004-2011. Physical Medicine and Rehabilitation, 4, 580-601. Beck, M., Wanchai, A., Stewart, B.R., Cormier, J.N., & Armer, J.M. (2012). Palliative Care for Cancer-Related Lymphedema: A Systematic Review. Journal of Palliative Medicine, 15(7), 1-7. Ridner, S., Fu, M., Wanchai, A., Stewart, B., Armer, J., & Cormier, J. (2012). Self-management aspects of living with lymphedema: A systematic review in lymphedema (2004-2011). Nursing Research, 61(4), 291-299. DOI: 10.1097/NNR.obo12e21824f82b2. Hayes, S., Johansson, K., Stout, N., Prosnitz, R., Armer, J., Gabram, S., Schmitz, K. (2012). Upper-body morbidity following breast cancer: Incidence and evidence for evaluation, prevention and management within a prospective surveillance model of care. Cancer, 118(8 Suppl), 2237-2249. DOI: 10.1002/cncr.27467. Mallinckrodt, B., Armer, J. & Heppner, P. (2012). A threshold, multidimensional model of social support and adjustment after breast cancer treatment. Journal of Counseling Psychology, 58, 150-160. DOI: 10.1037/a0026549. Life Sciences Undergraduate Research Opportunity Program (LSUROP); McNair Scholar; Essig Undergradute Nursing Research; EXPRESS; PhD mentor; Master’s mentor; Post-doc mentor for NHB&L PRIDE program; lymphedema/breast cancer outreach in minority and rural areas of Missouri. Armer, J.M. & Stewart, B.R. (2012, September). 84-Month Trends and Patterns in Post-Breast Cancer Lymphedema Occurrence. Paper presented at the 2012 National Lymphedema Network Conference: Research Round-Up, Dallas, TX. *Armer, J.M., Feldman, J.L., Fu, M.R., Paskett, El., Stewart, B.R. & Cormier, J.N. (2012, September). A 2011 ALFP Survey of Lymphedema Practitioners Across the US. Poster presented at the 2012 National Lymphedema Network Conference: Research Round-Up, Dallas, TX. Armer, J.M., Feldman, J.L., Stewart, B.R. & Cormier, J.N. (2012, September). Update on the American Lymphedema Framework Project (ALFP) Systematic Reviews for the Update of Best Practices in Lymphedema Management. Poster presented at the 2012 National Lymphedema Network Conference: Research Round-Up, Dallas, TX. Xu, S., Armer, J.M., Stewart, B.R. & Shyu, CR. (2012, September). Integrating Smartphone Technology for Lymphedema Patients. Poster presented at the 2012 National Lymphedema Network Conference: Research Round-Up, Dallas, TX. Armer, J.M. (2012, June). American Lymphedema Framework Project Update on the Systematic Review. Invited keynote presented at the International Lymphoedema Framework 4th Annual Meeting. Montpelier, FR. Armer, J.M., Feldman, J.L., & Cormier, J.N. (2012, June). American Lymphedema Framework Project Open Space Stakeholders Meeting. Invited paper presented at the International Lymphoedema Framework 4th Annual Meeting. Montpelier, FR. Shyu, C.-R., Armer, J.M., & Stewart, B.R. (2012, June). ALFP Minimum Data Set– Moving forward. Invited keynote presented at the International Lymphoedema Framework 4th Annual Meeting. Montpelier, FR. Armer, J.M. (2012, July). Findings from 7-Year Study of Breast Cancer Survivorship: Results and Implications for Researchers and Clinicians. Lectureship, invited paper presented at the New York University College of Nursing. Armer, J.M. (2012, August). American Lymphedema Framework Project Update: Systematic Reviews. Invited paper presented at the Lymphedema Educational Summit: What do we know and where do we go from here? Ohio State University, Columbus, OH. Stewart, B.R., Shyu, C-R., Armer, J.M. (2012, August). Standardized Data Collection and Analysis to Assess the Magnitude of the Lymphedema Problem. Invited paper presented at the Lymphedema Educational Summit: What do we know and where do we go from here? Ohio State University, Columbus, OH. Armer, J.M. (2012, August). Breast Cancer Survivorship and Lymphedema. Invited paper presented at the 12th Annual Horizon of Hope® Breast Cancer Awareness Luncheon and Fundraiser. Chesterfield, MO. Remy, L., Armer, J.M., Stewart, B.R., Reisenleiter, M. & Wanchai, A. (2012, April). Staging and Treatment of Breast Cancer in Patients Residing in Rural Versus Urban Locations in Mid-Missouri. Poster presented at the Undergraduate Research and Creative Achievements Forum, Columbia, MO. Wanchai, A., Armer, J.M., Stewart, B.R., Breier, S. & McDaniel, R.W. (2012, April). Care Practices in Complementary and Alternative Medicine (CAM) in Thai Breast Cancer Survivors. Paper presented at the Midwest Nursing Research Society, Dearborn, MI. Armer, J., Feldman, J., Cormier, J., Austin, M. & Stewart, B. (2011, September). ALFP Therapist Survey: Patient Characteristics and Treatment Options Reported by Therapists in United States. Paper presented at The 23rd International congress of Lymphology, Malmo, Sweden. Xu, S., Shyu, CR. Stewart, B. & Armer, J. (2011, September). Association Between Measurement Data and Lymphedema Patient Information Using Temporal Mining Technique. Paper presented at The 23rd International congress of Lymphology, Malmo, Sweden. Reneker, J. & Armer, J. (2011, September). Development of a Minimum Data Set to Assist in International Collaborative Lymphedema Studies. Paper presented at The 23rd International Congress of Lymphology, Malmo, Sweden. Xu, S., Shyu, CR., Stewart, B. & Armer, J. (2011, September). Discovering Distributions of Trained Lymphedema Therapists, Treatment Centers, and Lymphedema Patients Using Geographic Information System. Paper presented at The 23rd International congress of Lymphology, Malmo, Sweden. Armer, J. (2011, September). An Innovative Approach to Examining Lymphedema Occurrence: Trajectories and Area Under the Curve. Poster presented at The 23rd International Congress of Lymphology, Malmo, Sweden. Armer, J . Stewart, B., Heppner, P. & Wanchai, A. (2011, September). Role of Problem solving in Coping Successfully with Lymphedema. Paper presented at The 23rd International congress of Lymphology, Malmo, Sweden. Cormier, J.M., Chiang, Y., Hyngstrom, J.R., Xing, Y., Mungovan, K., Taylor, S., Lee, J.E., Gershenwald, J.E., Armer, J., & Ross, M.I. (2011, September). Prospective Assessment of Lymphedema following Lymph Node surgery for Melanoma. Paper presented at The 23rd International Congress of Lymphology, Malmo, Sweden. Reneker, J., Armer, J., Stewart, B. & Shyu, CR. (2011, September). Developing a Middle ware to Collect Minimum Data Set for Cross-Institutional Lymphedema Research. Poster presented at The 23rd International Congress of Lymphology, Malmo, Sweden. Xu, S., Shyu, C., Armer, J. & Stewart, B. (2011, September). Integrating a Web-based Geographic Information System for Lymphedema Stakeholders. Poster presented at The 23rd International Congress of Lymphology, Malmo, Sweden.